Vintage Matt Cover Ladybird book. Series 606B. 'People at Work' The Ship Builders. A Ladybird 'Easy Reading' Book. In good second hand used condition. See pictures for more details. Any questions please ask. Search "Trotsky's Restaurant Of The Mind.". Children's book explaining political issues. Published in 1986 so, dated but may be of interest to political collector. I will help all I can with all claims. Horrible Science, Science With The Squishy Bits Left In ~ Box set of 10 books. Condition is Very Good. Dispatched with Royal Mail 2nd Class. Ladybird book Series 606B - First published 1965 - 18p net. Neat flyleaf sticker, all else very good -clean, colourful, bright. Ladybird book Series 633 - 1976 - 50p net. "Coin Collecting". A fascinating book on collecting, gorgeous illustrations, best for 10 and up. Ladybird book Series 633 - First edition from 1969 - 18 p net. "Stamp Collecting". A fascinating book on collecting, gorgeous illustrations, best for 11 and up. 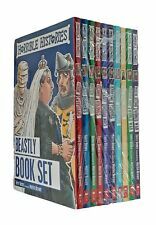 (Book House £6.99) – KS2 History. 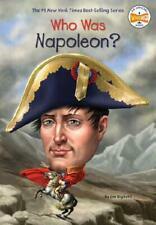 This title supports the study of history at KS2. The inclusion of a glossary and an index also make it an ideal text to use when considering the conventions of non-fiction texts with young readers. Vintage Matt Cover Ladybird book. Series 618. LONDON. In good second hand used condition. See pictures for more details. Any questions please ask. A lovely box set of Horrible Science books from the makers of Horrible Histories. The books are all in really good condition, the box is ever so slightly dog eared at the corners. RRP £59.90 I'm selling several other items of men's, women's and kids' clothing so please take a look at them and I'll happily combine postage. From a pet and smoke free home. Children's book explaining political issues. Published in 1986 so, dated but may be of interest to political collector. I will help all I can with all claims. it also makes making a claim easier. Search "Trotsky's Restaurant Of The Mind.". A Retro Ladybird Book Series 606D: People at Work, The Fisherman. The Fisherman. - Mark to back board. - Mark to title page. Discovery Magazine Issues 1 to 12, with folder and accessories, great bit of nostalgia! Condition is Good, a couple of acessory sheets have been coloured in. Any questions please message me. I will help all I can with all claims. it also makes making a claim easier. Paperback book with minor reading wear. Search "Trotsky's Restaurant Of The Mind.". 6 Vintage Matt Cover Learnabout... Ladybird books, 634 series. Chess. Sewing. Metalwork. Making a Transistor Radio. Camping. ​Coares Fishing. In good second hand used condition. See pictures for more details. Any questions please ask. This title introduces readers to life in Stuart Britain from a child's viewpoint. The text is supported by primary source material (paintings, artefacts, quotes, etc.) that brings the past to life. (Series) A Child's History of. 2 Vintage Gloss Cover Ladybird Books. Series 8818. The Christmas Story. Well-Loved Carols. In good second hand used condition. See pictures for more details. Any questions please ask. Ladybird book Series 601 - First published 1970 - 15p net. "The Story Of Printing". A fascinating book - gorgeous illustrations - best for 9 and up. Ladybird book Series 606B - First published 1972 - 30p net. Small cover rubs, inside all very good -neat, clean, colourful, bright. Great small thick book for all young astronomy enthusiasts. NICE USED 155 PAGED HARDBACK BOOK. TITLED PEARSONS RECITER FOR BOYS AND GIRLS. PUBLISHED BY C ARTHUR PEARSON IN 1905. THE BOOK HAS RED PICTORIAL COVERS WITH BLACK TITLES ON SPINE AND FRONT COVER. 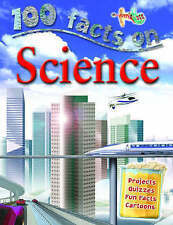 100 Facts SCIENCE, Steve Parker (Pub. Take a closer look at the fascinating world of science! ). (The text is supported by primary source material (paintings, artefacts, quotes, etc.) that brings the past to life. (Series) A Child's History of. size) 27 x 21 x 0.3 cm. weight) 145g. (ISBN) 9781406270587. BN DK Eyewitness Series "Great Scientists" plus giant wall chart. Introduces the inventions, theories, breakthroughs, and lives of scientists through the ages, from Aristotle to Stephen Hawking. Ali Baba and the Stolen Treasure. 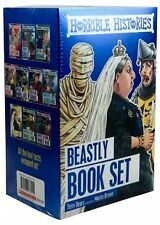 All 6 books - at last count - in this briliant kids series that aim to explore myths and classics from history, bringing to life the tales from the past. Aladdin and the Fabulous Genie. Vintage Matt Cover Ladybird book. Series 561. 'Adventure from History' Queen Victoria. In good second hand used condition. See pictures for more details. Any questions please ask. Published by RoSPA, The Royal Society for the Prevention of Accidents. Undated, probably 1950's - 1960's. 8" x 6" stapled booklet, landscape format. Covers 4 other sheets. Vintage Matt Cover Ladybird Book. Your Body. In good second hand used condition. See photos for more details. Any questions please ask.